Experiencing a foot or ankle injury can be a crippling situation. The problem may be due to a sudden trip or fall or it may be pain that has lingered after a wound that happened years ago. Common issues in this area of the body include plantar fasciitis (heel pain), Achilles tendinitis, sprained foot or strained calf, wobbly ankles or a torn ligament. To take care of this kind of injury efficiently, Mill Creek Foot & Ankle Clinic now offers platelet rich plasma injections in Smokey Point that can be finished in one visit. Dr. Hall has successfully utilized this therapy on over 100 foot and ankle injuries with enormous success and he is now studying the use of PRP treatment for chronic joint arthritis. When the body is injured in some way, it begins an inborn process known as a healing cascade. Tissue damage is healed in a 3-part procedure. The inflammatory phase takes about one week and during this time, the damaged tissue swells and reddens due to blood coagulation. The next 8-12 weeks are recognized by the formation of collagen and scar tissue. The final 24 weeks comprise the regeneration or reparation phase, where scar tissue disappears and damaged tissues repaired. If an injury is not treated quickly, the healing cascade is discontinued and the body ceases the healing process (quiescent phase). The unfortunate consequence is chronic pain due to an injury that never entirely heals. PRP therapy is simple and takes little time to complete. A vial of your blood is drawn and then spun in a centrifuge. This piece of specialized equipment divides the whole blood from the platelet rich plasma. 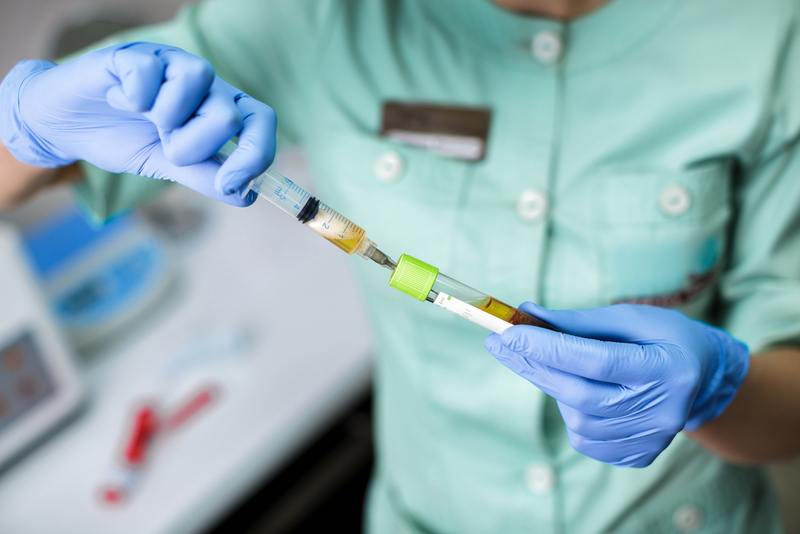 The area of the injury is numbed and PRP injected directly into the damaged tissue. To boost healing, the foot or ankle is placed in a boot for about 1 month. Learn how platelet rich plasma injections in Smokey Point can be used for your foot or ankle wound by contacting Mill Creek Foot & Ankle Clinic at (425)482-6663.